PHOTO BY NICOLE WALBY Gene Fatzinger and Joann Hatton work on their latest puzzle together at Seneca House. 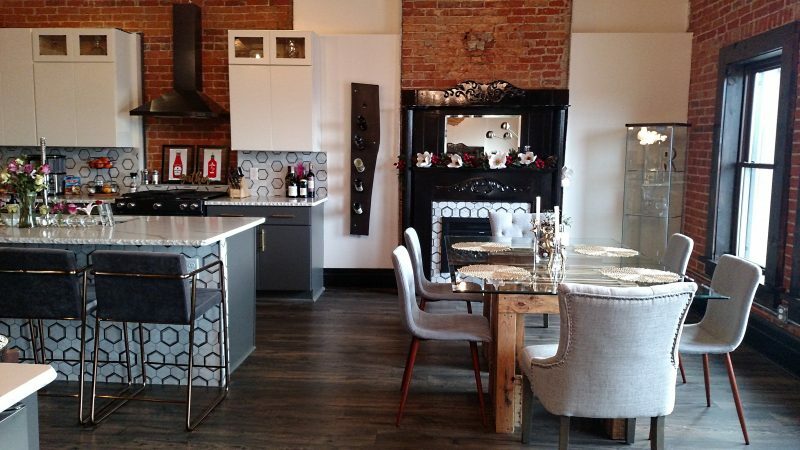 Two residents at Seneca House have been pieced together by a common hobby. 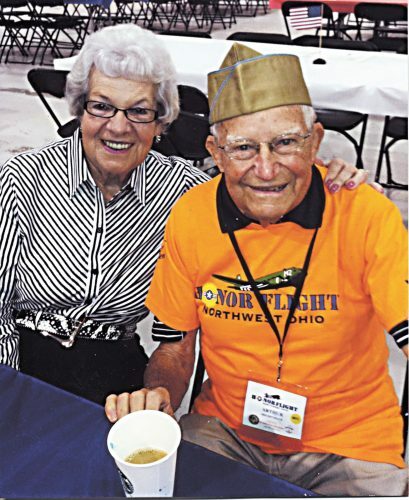 Gene Fatzinger, 89 and Joann Hatton, 86, first met last summer. Hatton and Fatzinger each have lost a spouse and, in June, she became a resident at Seneca House where Fatzinger had been residing for three years. Hatton said she saw him putting together a puzzle and sat down to join him. “We instantly clicked as friends,” Hatton said. Hatton, who mainly helps Fatzinger, said she enjoys putting the puzzles together, “but he usually does all the work,” she said. “My daughter is a puzzle person,” she said. Fatzinger said he recently got into putting puzzles together. Now, he has put together more than 50 puzzles, in a variety of shapes, sizes and images. Fatzinger said he mostly enjoys puzzles that have images of tractors and cars. Hatton and Fatzinger said they enjoy putting puzzles together to maintain mental clarity and to just pass the time. 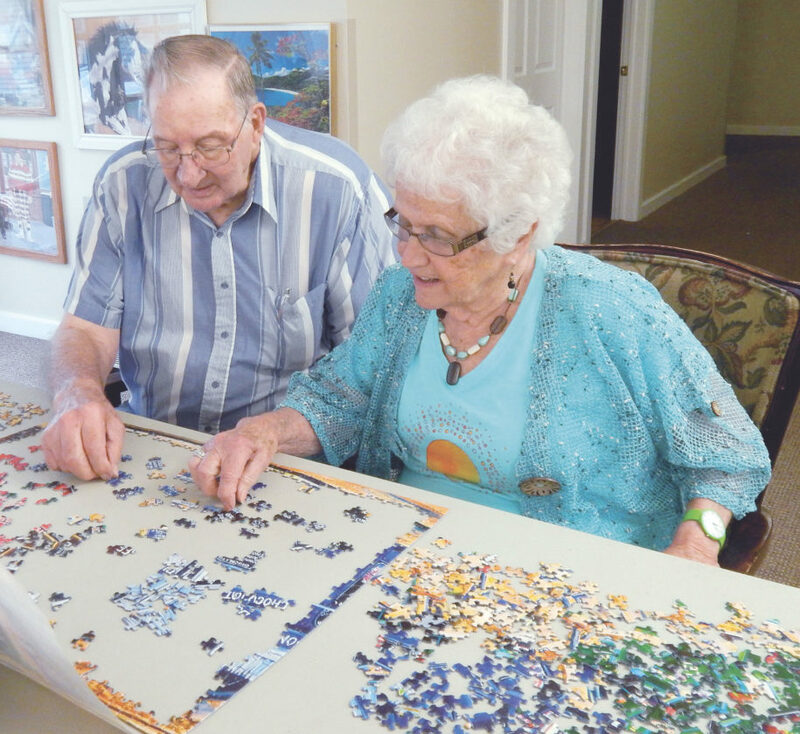 When they start a new puzzle, Hatton said, they first separate the pieces into similar color patterns and then start piecing together whatever they can. Fatzinger has never needed to buy a puzzle. He said all the puzzles he has put together have been given or donated to him. Hatton said she feels blessed. “I feel like God directed me here,” Hatton said.